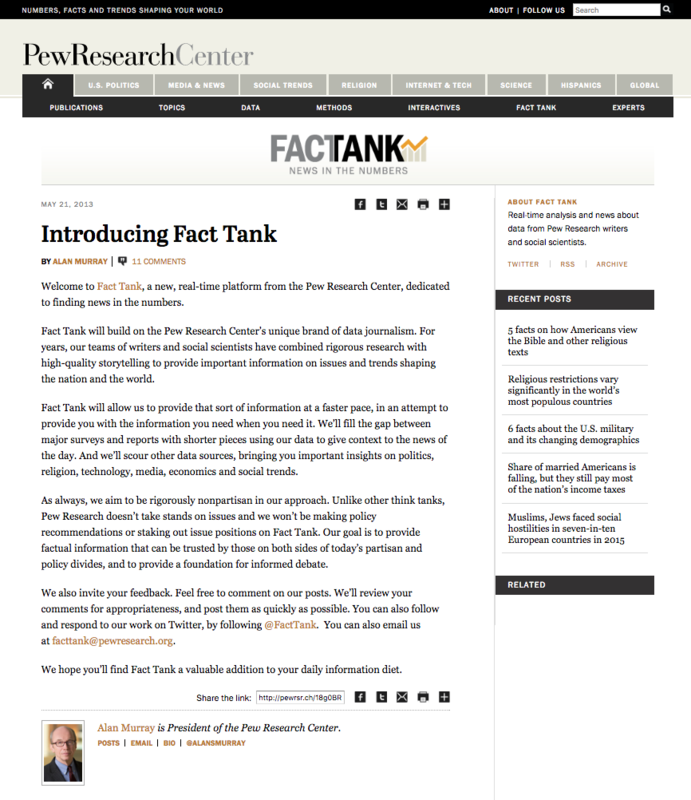 Description: Ahead of the launch of the new Pew Research Center blog, Fact Tank, I designed a custom symbol and typemark to give it a distinctive feel from other Pew Research-branded content. The intent was to convey the blog as a part of the timely, relevant and trustworthy Pew Research Center content, but position it as more bite-sized and reader-friendly product. 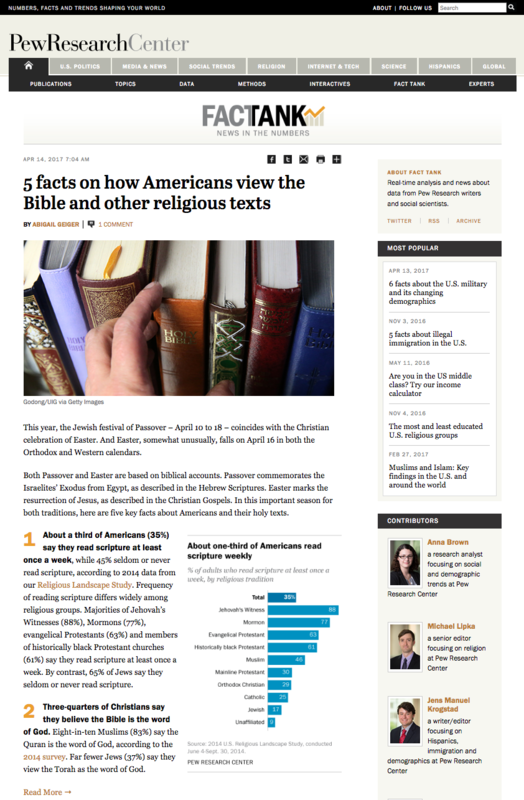 I also designed the blog's look and feel as an extension of the rest of the Pew Research Center site. Pew Research Center now publishes more content on the blog than the rest of the site, in terms of volume, and as of early 2017, Fact Tank's twitter account has over 300,000 followers.